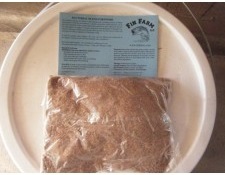 The Fin Farms Bactrobe is a blend of bacteria and enzymes for ponds. It is not an algaecide, but rather a proprietary blend of natural microbes that maintain clean and clear ponds without the harmful side effects that chemical applications can produce. Algae forms on ponds as a result of an overabundance of nutrients, organic decay, and fertilizer runoff. Our Bacterial Blend consumes these nutrients essentially treating the cause, not the effect of pond maintenance problems. 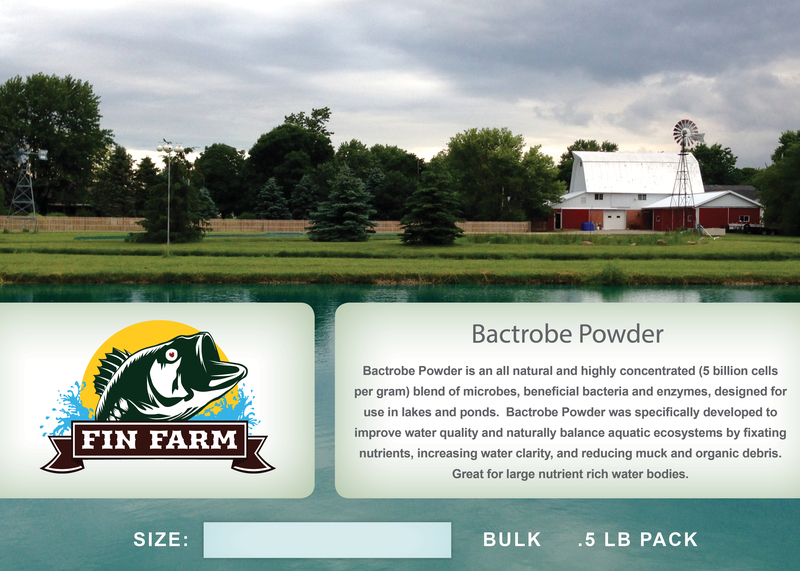 Our blend of bacteria is safe for humans, animals, fish and aquatic life. Its use does not require EPA registration nor does it require an applicator’s license. However, if your pond is used as a drinking water source it must be filtered and disinfected in accordance with state and local drinking water regulations. Our special blend of bacteria are designed to reduce sludge build-up; improve water clarity; eliminate excess nutrients; eliminate pond odors; control algae and reduce oxygen demand. 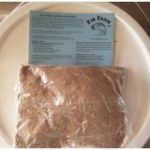 Our blend contains various strains of bacteria with a count of 5 billion cells/gram. Bulk or water soluble packs available.